Furnishing a children’s room can be tricky especially if there is more than one child to a room. Bunk and trundle beds offer versatile bed solutions as well as space saving benefits ideal for children’s rooms. Each bed type offers its own unique list of features and advantages. Naturally bunk and trundle beds are perfect for children’s rooms but they can also work well in a spare or guest bedroom. To help you decide whether a trundle bed or a bunk bed would offer more value, here’s our handy guide to helping you make the best choice to suit your needs. The innovative design feature of trundle beds make them an ideal option for sleep-overs. Like the bunk bed, trundle beds are great for freeing up space but with the main difference being that the second mattress is placed beneath the first mattress, in effect creating two beds. This allows you to only use the second mattress when needed and is stored tidily away when not. Why do trundle beds make a great buy for Australian families? The versatile style and design of these beds offers additional space when you need it and additional storage space if the model is kitted with removable drawers. Choosing bunk beds is a creative way to furnish children’s rooms. Thanks to the space saving benefits of bunk beds, you can easily free up space for more play area or create a study area. There are plenty of unique and versatile designs available for inspiration when decorating a room. 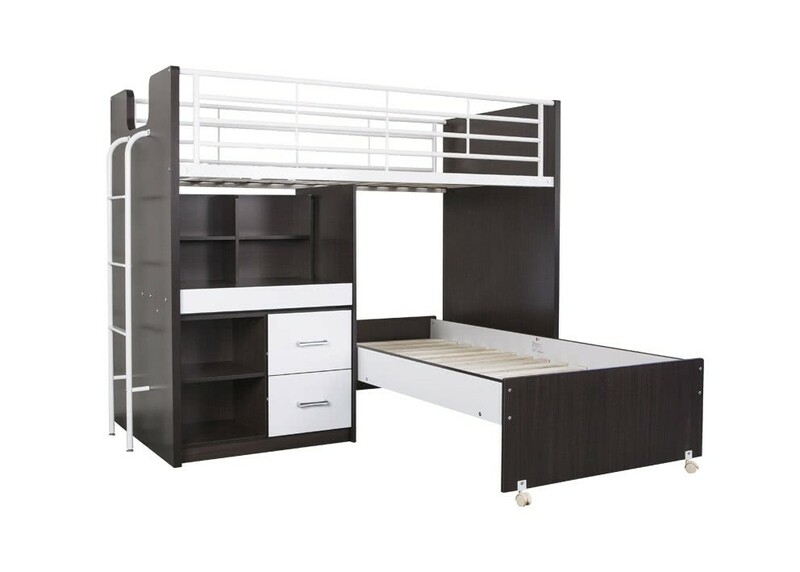 Bunk beds available from Furniture Galore in Melbourne can be constructed from metal or superior quality wood which means that they offer long lasting durability. Get extra space into a room at a lower price. Choose a bunk or trundle bed from Furniture Galore. We are your specialist furniture store in Australia offering an exciting range of furniture that adds value to your home. We have stores located all across the Melbourne Metropolis.